Officially licensed by Jack Daniels. 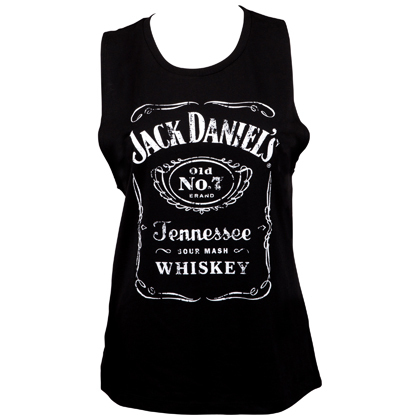 The classic Jack Daniels bottle label now available on a premium quality women's tank top. The tank is cut in a edgy sleeveless style. Show off your guns while you drink some JD! 100% cotton.